Renew your existing Alibre Design 3D CAD with optional 3D Systems Support & Maintenance Subscriptions. Upgrades and renewals require existing Alibre or Geomagic account details (see below). How much is your engineering time worth? Continue to get important upgrades and direct technical support for Alibre Design with an annual software maintenance subscription. Alibre Design Subscription includes direct email/online* support to Alibre Help Desk as well as receiving all Alibre Design software improvements and version upgrades for the next year. 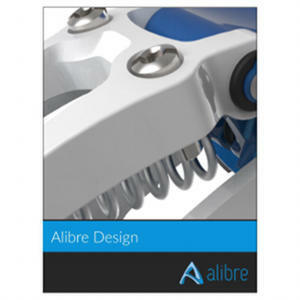 For buying a new Alibre Design license click HERE. Note that new versions of software are not installed automatically. For third-party options, the pricing and agreements for these remain subject to the terms of the companies who provide them. If you have any questions about using this page PLEASE CONTACT US HERE. If you are simply renewing a CURRENT Alibre Support Subscription for another year, keep the default "Renew Current..." from the "Select your Upgrade/Support Maintenance HERE" droplist below. Then click "add to cart" and follow the prompts for checkout. If you are upgrading an OLDER VERSION of Alibre or have LAPSED SUBSCRIPTION you will need to select "Renew Expired Alibre Design Subscription" from the "Select your Upgrade/Support Maintenance HERE" droplist below. Then click "add to cart" and follow the prompts for checkout. Likewise, ordering any additional license options below require active maintenance subscription. USB dongle licenses are no longer offered by Alibre. Going forward, Alibre users will be offered an OFFLINE activation license type instead. NWA Locally Managed Network License Server users (not virtual dongle) who seek to renew the NWA maintenance, after their first year of NWA entitlement, should then select "NWA License ..." for the "Maintenance Type" option below.